A file image of an Embraer Bandeirante. To mark the 40th anniversary of Embraer in Australia, Australian Aviation and Brazil’s leading aerospace manufacturer Embraer are running a photo competition. To celebrate the shared history between Australia and Embraer, we invite you to send in your photos of the iconic Bandeirante in Australia. 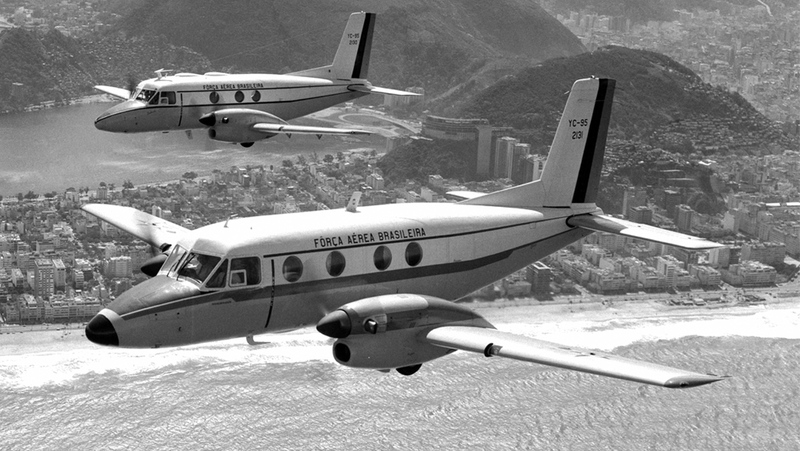 Embraer first entered the Australian market in 1978, when the EMB-110 Bandeirante went into service. The winner will receive a limited edition scale model of the Bandeirante EMB110 in a special 40th anniversary livery, a “History of Embraer” book and have their winning photo featured in an upcoming edition of Australian Aviation. Two runner-ups will receive a stunning E2 aircraft model in Embraer livery and see their photos featured in an upcoming edition of Australian Aviation. With each photo, provide a brief description, your name, address, telephone number, the date and location of the photo and your authorisation for Embraer and Australian Aviation to use the images as they see fit. More reliable electrics in the hot humid conditions proved to be a bonus for Gulf communities. in maslings colours ….. with boots ! I owned Transtate Airlines and we operated six Bandits in the Gulf area and to Cooktown etc. Transtate and their Bandits….yes. Loved that livery. No much is recorded on the net about Transtate’s history. I remember the arrival of Masling’s first Bandeirante and meeting the enthusiastic Masling family in the very first months of Australian Aviation. Loved the aircraft and the attitude of the Brazilians. Wish only that our own government had that attitude towards fixing and promoting the dysfunctional and union dominated GAF of the era. You live in hope.